KOCHI: The mystery behind the fireballs that lit up Kerala skies on Friday night has finally been resolved, with scientists confirming that it was meteor, as suspected. 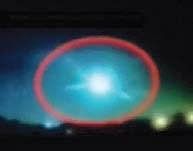 A team of experts from the State and Central government, who have been investigating the sighting of fireballs and the sonic boom that followed, said that the materials recovered from two different places in the State were sufficient evidence to confirm the meteor theory. At Kuruppampady, a strange object was spotted in a plantain farm by a farmer living in the area. Similarly, a shining odd-looking rock was found on the rooftop of a house in Thrissur. Sekhar Kuriakose, scientist and member of the State Disaster Management Authority who leads the team, said that the materials recovered from the two sites fitted into the general characteristics of fragments fallen off a ‘bolide’ (an extremely bright meteor that often explodes in Earth’s atmosphere) during its course. “The recovered rocks are having high specific gravity, and are porous or contain vesicles. They were found on a day after the bolide fly over, in areas believed to have the maximum resonance of the blast of the bolide,” he said. “Very strange materials have been recovered from Valamboor and Kuruppampady. One of the rocks is shining, possibly due to the presence of iron and nickel in it. It is almost the size of a palm, weighing about 600 gm. This strongly concurs to the meteor fall theory,” said Sekhar, adding that the strange rocks evoked curiosity among the local residents as no one has ever seen such materials in those areas. A strong tremor was also experienced at those spots on the that night. Though it is not the first time a meteor fall has been reported in Kerala, the recovery of such large fragments is a rarity.